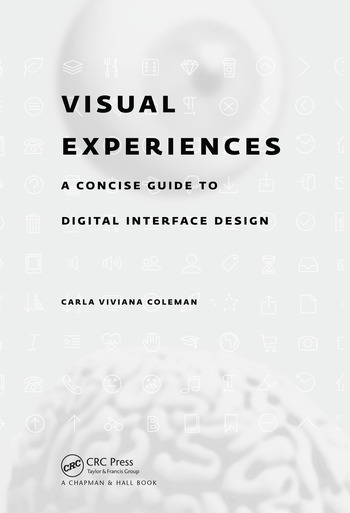 Visual Experiences: A Concise Guide to Digital Interface Design provides step-by-step examples to enable readers to create an interface, guiding them from sketching an idea to creating an interactive prototype. This creation of a visual experience is achieved in three steps: thought, design, and interaction. This book focuses on the visual experience of digital interface design from the initial idea to end-user prototype. Shows how to design visual digital interface experiences: a concise guide to creating successful prototypes without programming. Teaches the whole process of how to sketch, design, and create interactions. Unlike other books, this book does not just give a list of terminologies, but workable examples and methods. Includes a wide range of basic to advanced exercises geared towards professionals and students alike. Includes many illustrations throughout the book, guiding the reader through the process. Thinking. Introduction to Interfaces. User Research. Prototyping and Visual Thinking. Design. Psychology of Color. Typography and User Legibility. Image Making. Hierarchy. Moving Images. Flexible Grids. Interaction. Communication Feedback. Accessibility. Error Prevention Testing and Security. Usability Testing and Acceptance. Designing for Large Devices. Designing for Small Devices. Designing for Augmented Reality. Design Development. Conclusion. Carla Viviana Coleman Cordova is an educator, researcher, writer, designer, and artist. She is the author of several books such as: Visual Experiences: A Concise Guide to Interface Design (2017), Web Typography: A Handbook for Graphic Designers (2012), and Type and Code: Processing for Designers (2009). Her work has been featured online in The Conversation, Scientific American, Salon, and the Christian Science Monitor. Also, her work has been published in the books: Indie Publishing (2008) and Graphic Design: The New Basics (2008), both published by Princeton Architectural Press. Coleman's work has been exhibited in The Siggraph Exhibition Conference, Ssamzie Space, Gallery 175 in Seoul, Korea, and others. In addition, she served on the Board of Directors of AIGA Baltimore.